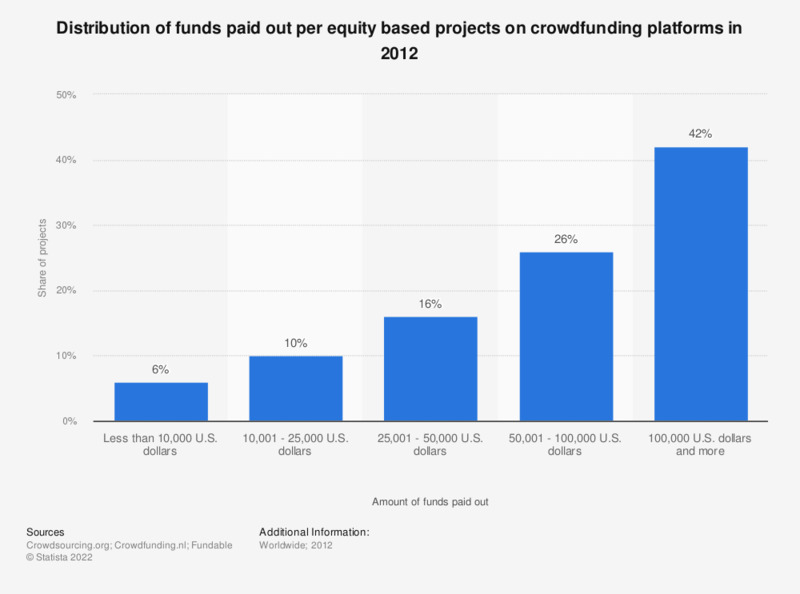 The statistic shows the distribution of funds paid out per equity based project on crowdfunding platforms in 2012. Equity based crowdfunding raised the most funds per project as compared to donation-based and reward-based crowdfuning. In 2012, the funds paid-out by 42 percent of the projects exceeded 100,000 U.S. dollars.